There are some gaping holes in my personal collection and I need your help to ID these cover subjects! 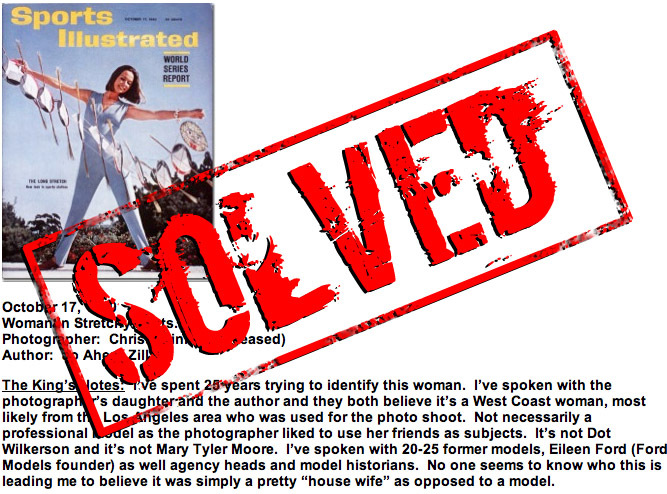 I’m offering a reward to anyone for any information that will identify the following Sports Illustrated cover subjects. I’m looking for their name and any contact information that will lead me to them. I don’t know who they are. Sports Illustrated doesn’t know who they are. Even the photographers don’t know who their subjects are. Some of these were just hired guns for a few hours work. Are you a collector searching for that “rare item” or “needle in the haystack” piece to finish up a project? Are you good with detective work on the internet? Can you post on you Facebook or other social media pages and ask everyone you know for help? Maybe you can help me! Identify these cover subjects and I will make it worth your while!! If you have any questions or concerns or ideas… email or call me immediately and I will work with you. God forbid you are the cover subject and you’ve stumbled upon my website asking who you are, call me on the spot and you’ll make my day!! I would love to add you to my historic collection. 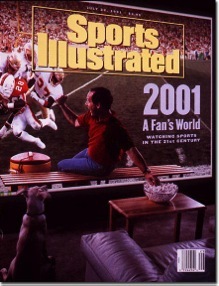 2001 A Fan’s World. Watching Sports In The 21st Century. 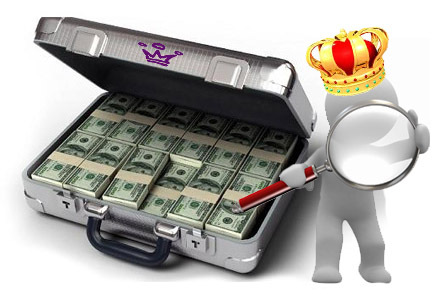 The King’s Notes: I contacted Sports Illustrated and they don’t have a model contract or release on file when they hired this gentleman to pose for the cover. The photographer was nice enough to take my call but didn’t remember the model’s name. He was simply a male model chosen from a model agency book and was hired to act like a fan while a photo was taken of him. Most likely a NJ or NYC native who worked in and around New York City and possibly still lives in the area. Money! Money! Money! Is It Ruining Sports? 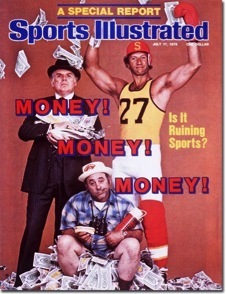 The King’s Notes: Same story…I contacted Sports Illustrated and they don’t have a model contract or release on file for any of these 3 gentleman who posed for the cover. The photographer took my call, but again, couldn’t remember any names of these 3. The Modeling Agency used to hire these 3 was a company called Funny Faces and they were based in NYC. They are no longer in business and I cannot locate a name of the owner in order to quiz him on his former models. Once again, these 3 (if alive) most likely live in the New York or New Jersey area. 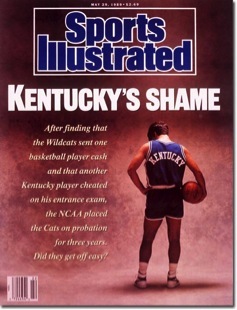 The King’s Notes: I contacted Sports Illustrated and they don’t have a model contract or release on file for this gentleman who posed for the cover. I can’t recall if I spoke with the photographer or authors. Hoping someone can use their brain to figure this one out. Most likely a photo shoot that happened in New York City. The male model most likely live in the New York or New Jersey area. 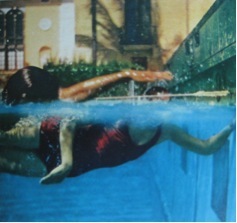 The King’s Notes: This was a photo essay focusing in on the strokes of swimmers and photography under water. 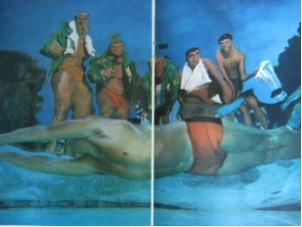 The photographs of the swimmers on the inside pages show orange bathing suits with black trim. Some swimmers who are seen outside of the pool have green warm up jackets on with the letter “M” on the front of the jacket. My initial guess was University of Miami who share similar color schemes. Would also make sense for the photo shoot to be in South Florida for the warm weather shoot. I’ve included 2 photos from the inside article. Anyone recognize the architecture or building alongside this outdoor pool? This is just guess work, but hoping someone else can think and toss me their opinions or ideas. The King’s Notes: Story was on getting away on vacation without dealing with the crowds. This photo was taken on Los Muertos Beach in Puerto Vallarta, Mexico. 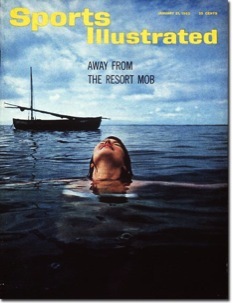 Chances are, the woman in the water was a wife, friend, relative or co-worker of the author or photographer. Just a guess. 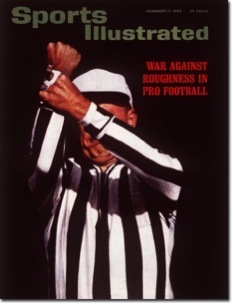 The King’s Notes: I’m not sure if this was a real NFL referee and then the background was simply “blacked out” or if this was a studio shot. I have not spoken with the photographer and don’t have any information on this one. The King’s Notes: I’ve spoken with photographer Robert Huntzinger and he told me they were somewhere in Canada for this shoot. The cover is a 2 page fold out. 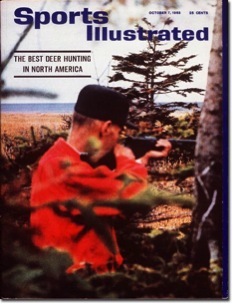 The Deer hunter was most likely a tour guide from the area and the deer shown on the inside was super imposed after the fact to appear as if it was in the original shot. The King’s Notes: I spoke with the photographer, and unfortunately this was just one of hundreds of random photo’s of kids in a martial arts class taken over a week’s time. The child in the photo is now 25. Anyone have any thoughts on a Chinese Facebook or Social Media page where we can post the photo and see if we can get it passed around? 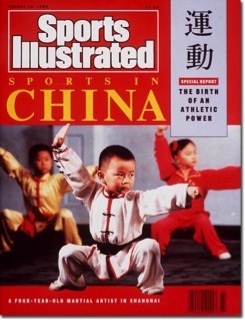 I may have to pay a visit to the Chinese Embassy in NYC and ask for some help in getting this ball rolling. That’s paid off many times in the past at various embassies. The King’s Notes: The cover photo was taken in Big Mountain, Montana. Photographer Joern Gerdts couldn’t remember who it was that he was shooting when asked. 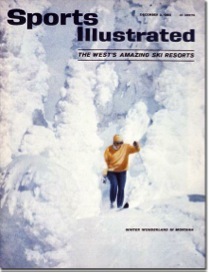 According to the article inside, the GM of the Big Mountain Ski resort was Ed Schenck. This is all I have for this cover subject. 100% Guaranteed Authentic Sports Autographs & Memorabilia. World’s largest collection of its kind. 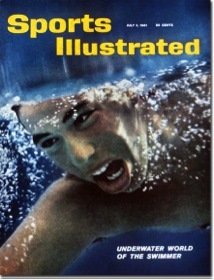 Over 20,000 Autographed Sports Illustrated magazines. Current Super Stars & Vintage sports signatures. Vintage signed memorabilia in sports history. Since 1982. NFL, MLB, NBA, NHL, Nascar, Football, Baseball, Basketball, Hockey, Soccer, Boxing, Olympics, Golf, Track, Jockeys, Politics collectibles & more.